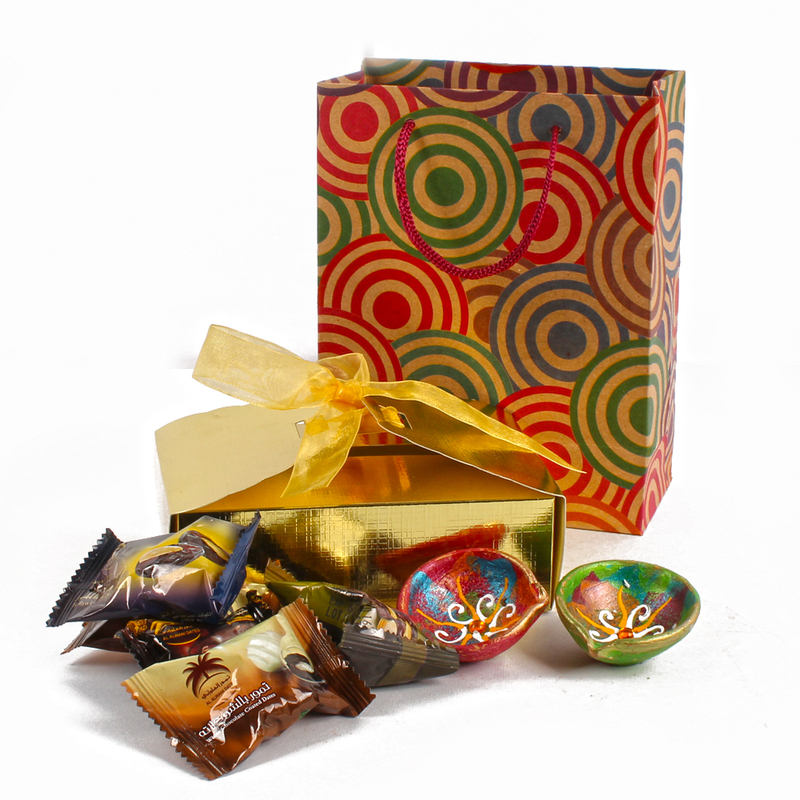 Product Consists : Assorted Date Chocolates (Weight : 200 gms) nicely packed in a Golden Designer Gift Box along with Set of 2 Traditional Earthen Diyas in Paper Gift Bag. 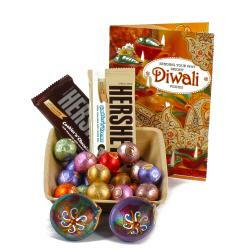 A fusion of heart winning goodies that contains all elements essential to make some one smile, this hamper from Gift across India is mind blowing. 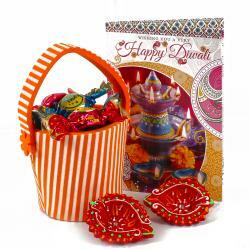 It includes a Gift Box containing lip smacking Yummy Assorted Date Chocolates along with earthen diyas are filled and ready to add enormous glow on the Diwali Eve. 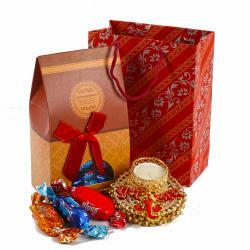 This unique hamper is perfect to make special occasions like Diwali, Ganesh chaturthi Navratri and so on memorable. So get going and place your order now. 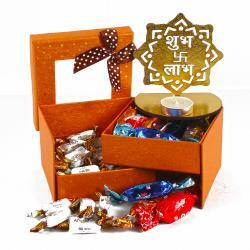 Product contains : Assorted Date Chocolates (Weight : 200 gms) nicely packed in a Golden Designer Gift Box along with Set of 2 Traditional Earthen Diyas in Paper Gift Bag.